He was born in Igboho, Oyo State, Nigeria. He attended Wesley College, Ibadan where he received the Teacher Grade II Certificate Examinations (TC II) in 1964. He later attended Adeyemi College of Education where he obtained the Nigeria Certificate in Education (N.C. E) in 1968. He proceeded to the prestigious Obafemi Awolowo University for a Bachelor of Science (B.sc) degree in education in 1973 and a Master of education (M. Ed) in 1975. He later proceeded to Cornell University, Ithaca, New York where he received a Ph. D degree in Educational measurement in 1978. He became a Professor of Tests and Measurement in October 1986. He began his career as a secondary school teacher in 1965 at Laogun Methodist Grammar School. He left to Ibada Iseyin District Grammar School, Iseyin in 1970 and later College of Advanced Studies, Kano in 1975. He joined the services of Obafemi Awolowo University, Ile-Ife in 1973 and was appointed a Director of Institute of Education in the same university in 1984, a tenure that ended in 1990. He is the first Nigerian Professor of Tests and Measurement. In 1990, he was appointed as the Director of Monitoring and Evaluation, National Primary Education Commission (NPEC), a tenure that elapsed in 1991. In 1991 he was appointed as the Director and Consultant at Centre for Educational Measurement (CEM), Federal Ministry of Education. After his tenure in 1992, he was appointed as the Registrar of the National Board for Educational Measurement, NBEM. He held this position for 7 years (1992 – 1999). Shortly after his tenure as of the National Board for Educational Measurement (NBEM) in 1999, he was appointed as the Registrar of National Examination Council, NECO. He held this position for 8 years (1999 – 2007). 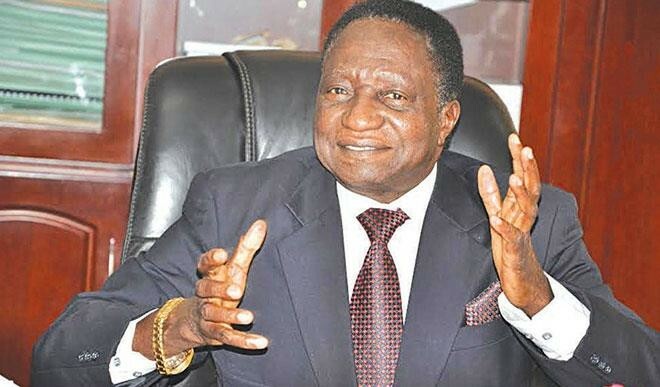 After his tenure in 2007, he was appointed as Registrar of the Joint Admissions and Matriculation Board, JAMB, a position he held for 5 years (2007-2012) and was reappointed on 10 April 2012. President of the International Association for Educational Assessment, IAEA. Vice president of the Association for Educational Assessment in Africa, AEAA. Member of the Educational Studies Association of Nigeria.